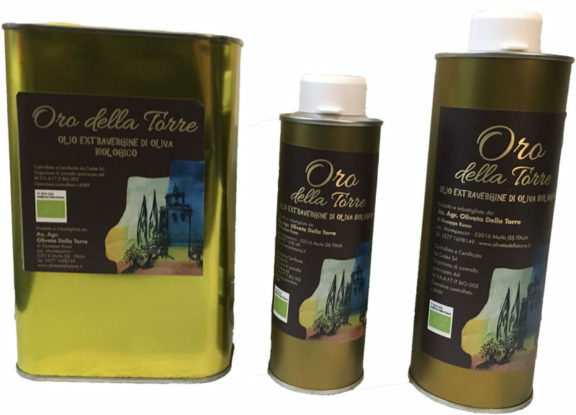 High quality olive oil in taste and nutritional properties. Extra virgin olive oil is the true king of every healthy diet and the lord of all fine meals. No wonder why, after conquering the western hemisphere the mediterranean cuisine is now also widespread and appreciated in the Far East. 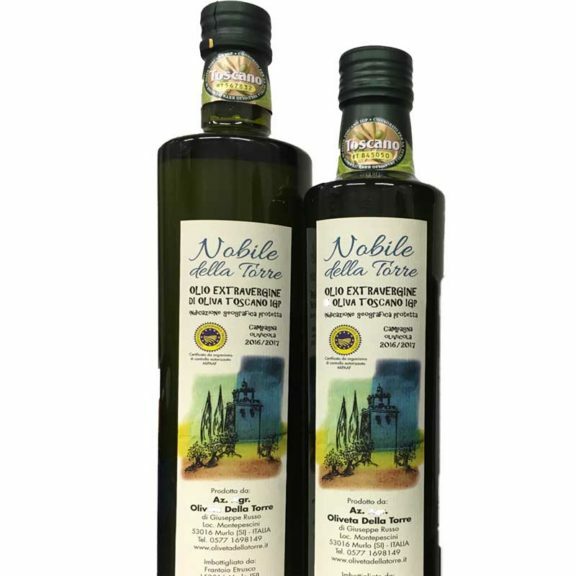 At the basis of its success are the so-called nutraceutical properties of extra virgin olive oil. Thanks mainly to its content rich in monounsaturated fatty acids, phenolic antioxidants, omega 3 and omega 6 it’s a true elixir of long life. Our average annual production of extra virgin olive oil is about 800 liters. We produce a pure olive juice, made of olives harvested by hand and mechanically pressed without further processing. It is therefore a naturally product that of course evolves with the passage of time: strong and intense immediately after pressing, softer and more delicate as it reaches maturity. This changing character, which is typical of handcrafted products, proves its genuineness at the same time. Each of our labels expresses the character of the oil that distinguishes it. Our Oro della Torre, Selvaggio della Torre and Nobile della Torre reveal the pure essence of the green heart of Tuscany from which they come. It’s the classic tuscan blend made with 4 tuscan sorts of olives. We deliver it in elegant metal bottles of 25 cl, 50 cl and 1 l.
It’s our organic monocultivar EVOO, produced with the only olive variety of Frantoio. Filled in elegant metal bottles of 25 cl and 50 cl. It’s the classic tuscan blend but with a smoother flavour due to a late harvest of the olives. Filled in elegant bottles of 25 cl and 50 cl. Thanks to our small scale production of olive oil, we are able to personally control the entire supply chain. 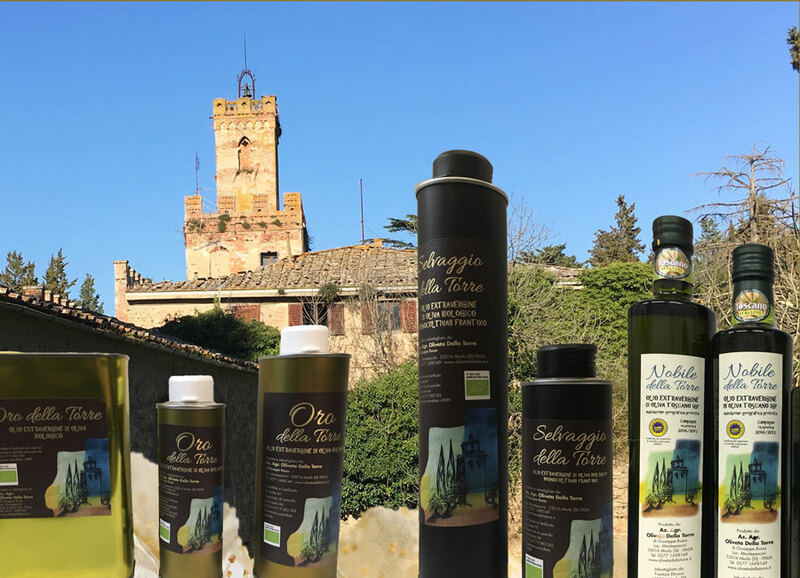 In other words, we can guarantee the highest quality at every stage of the olive oil production process: from cultivation to pressing, packaging, labelling and sale. “From olive tree to olive oil cruet” is our slogan but also and above all our promise. In addition to selling in the company we are also able to ship our EVOOs directly to your home. However, our most important sales channel are located abroad, particularly in Switzerland. We are consolidating our presence here mainly through participation in regional fairs and markets. “Little but good “, it is said of the productions made in a workmanlike way, just as we try to do here at the Oliveta della Torre farm. Therefore, if you want to taste an absolutely NOT industrial and authentically Tuscan olive oil, contact us to arrange a supply.